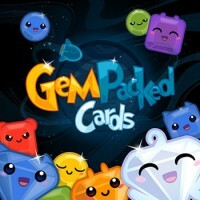 GemPacked Cards is a gem-crafting, color-blending card game for 2-4 players based on the GemPacked iOS puzzle game. 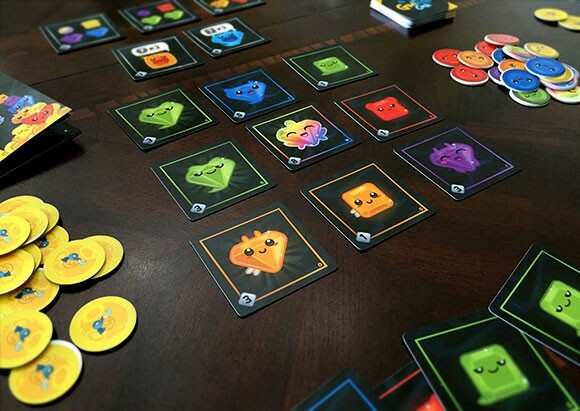 During each round, players use the Gemino Pip Tokens they draw to try to acquire higher level Gemino Squares and Gemino Diamonds (worth victory points) or trade for Sun or Nova cards. All cards are played face up. When the last Gemino Pip Tokens are drawn from the starting pile, each player has one remaining turn before the round ends and players tally their score. Add a Review for "GemPacked Cards"